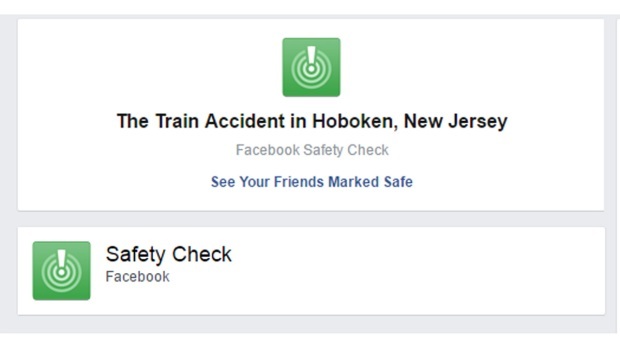 Facebook launched a Safety Check after an NJ Transit train crashed into a Hoboken terminal, allowing people to notify friends and family of their safety. The Safety Check allows users to tap the "I'm Safe" button to instantly alert friends and family. 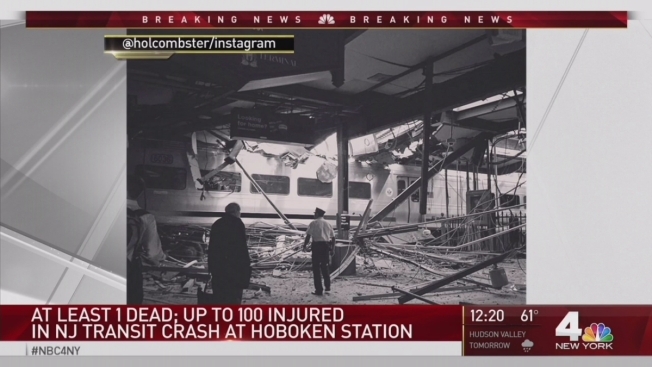 The NJ Transit train struck Hoboken station Thursday morning, killing at least one person and injuring 108 others, officials say.